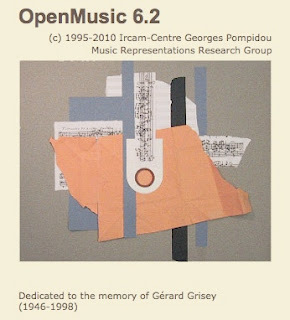 We gave a brief introduction to OpenMusic a few posts ago. A new version of this algorithmic composition software has just been announced by IRCAM. The new version, OpenMusic 6.2 is available for Windows XP, Vista and Mac OSX Univeral Binary and comes with updates, bug fixes and some new features. We'll look at some further algorithmic composition techniques and explore some of the new OpenMusic algorithmic features in future http://www.algorithmiccomposer.com/ posts.